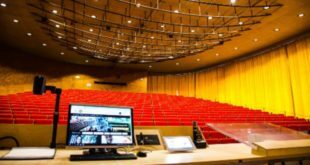 The Symphony Hall’s Deutsche Grammophon Gesellschaft Control Room has earned a major upgrade after 45 years of service. The Walters-Storyk Design Group recently completed a critical re-design of the Boston Symphony Orchestra’s Control Room. Broadcast from Symphony Hall, via radio, TV and the internet, the BSO’s symphonic performances are world-renowned and have remained culturally iconic for 134 years. After more than forty- five years of service in the broadcast and recording of thousands of concerts, the Symphony Hall’s Deutsche Grammophon Gesellschaft Control Room has earned a major upgrade. In 2014, BSO director of concert operations Christopher W. Ruigomez, recording engineer Nick Squire and Grammy Award-winning, sr. engineer/technical director for BSO’s Tanglewood Festival, Tim Martyn convened to discuss the Control Room overhaul. The re-design assignment was awarded to WSDG. 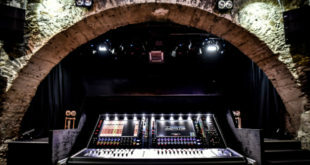 The WSDG and BSO team were in agreement that the existing Yamaha DM2000 console still offered years of active service. Thanks to a contribution by Bowers and Wilkins, the Control Room now features a 5.2 surround system, consisting of 802S mains and 805D surrounds. A ground up acoustic treatment solution was developed, which included splayed perforated wood panels, slotted wood panels, wood diffusion planks and low frequency absorption units. A new custom ceiling cloud was also installed to round out the package. WSDG designed four new producer work stations and two up-facing equipment racks which can be rolled out of the way when not in use. “The space was stripped to the bare walls, and the entire room experience was refreshed and modernised while fully respecting the BSO and Deutsche Grammophon legacy. This room is now equipped to provide many more years of service,” Ballos added. 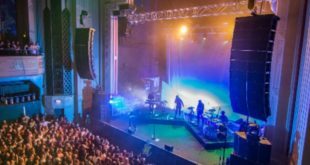 WSDG co-founder/architect/acoustician, John Storyk, commented, “We have worked on a number of venerable performance venues. 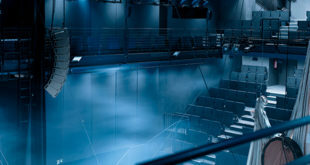 In addition to planning, supervising and commissioning the sound reinforcement upgrade of Switzerland’s KKL Luzern Concert Hall, and major projects for NYC’s Le Poisson Rouge, Maryland’s Merriweather Post Symphony Woods Complex, and Argentina’s La Rioja Provincial Theater, we also played an integral role in the acoustics consultation and design for Jazz At Lincoln Center. Each of our assignments is unique. The only identifiable WSDG signature in any of these venues is purity and clarity."